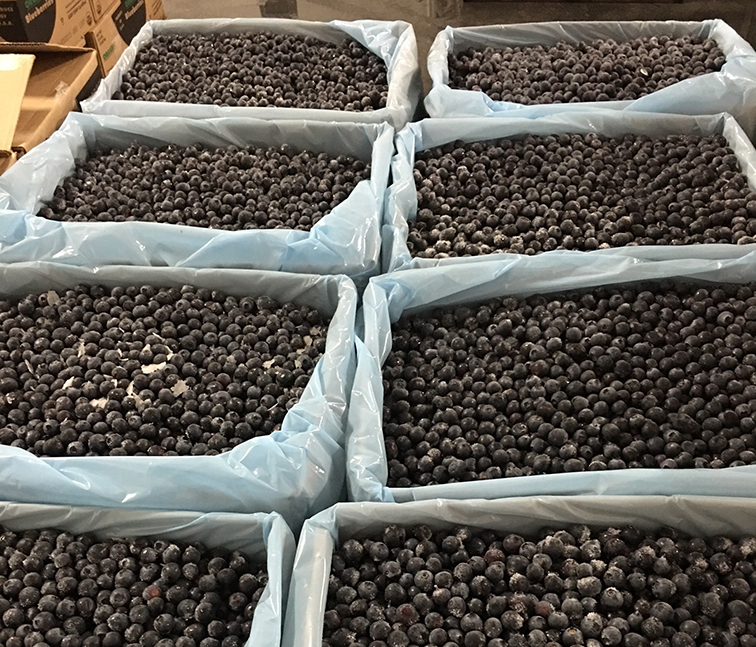 Gingerich Farms Products, Inc. sells wholesale bulk 30 lb cases of frozen conventional or organic blueberries and is available year-round for purchase. Blueberries are destemmed, sanitized, sorted, and sized before being packaged. Quality control is performed on each pallet of fruit, creating a profile for every pallet. This allows us to select pallets that match our customers’ specifications and build loads off those individual selections. We take food safety very seriously and have our pack shed inspected by third party programs to ensure our delicious berries are safely being packed. We are currently inspected under USDA GAP, Global GAP, Primus GFS, Oregon Tilth, and North American Kosher Supervision. Copies of certifications and inspections are available upon request. Every box of blueberries is marked with a code to ensure traceability of field of origin, pack date, and lot information.